Looking for the right service to help you start an LLC? We used Northwest and Incfile to form real LLCs, then compared their features. In this review, we answer three simple questions to help guide you through choosing the best service for starting your business. Choosing the best online service provider to help launch your business is an incredibly important step. We’ve created three questions that will address your main concerns and lead you in the right direction. For each company, we’ll explore whether their services are a good deal, if there’s a better deal out there, and experiences of other customers using the service. Is Either a Good Deal? Yes! Both services offer excellent deals. Northwest and Incfile come out of this comparison with very close scores, and for good reason: they are both extremely reliable and cost effective LLC formation services. A business owner’s goals going into this purchase are what will really set these two providers apart. Northwest really stands apart for its high quality of customer service. Its service representatives are known for being highly knowledgeable about business formation and business maintenance. If you anticipate you’ll need a little extra support with your business formation, or if you have any questions about the formation process, Northwest is probably your best bet. On the other hand, Incfile’s expanded menu of extra options may work well for some buyers who need additional features like banking offers, business contract templates, business website offers, and other physical items such as a corporate seal. Who Uses Northwest and IncFile? New and experienced entrepreneurs starting their own businesses look to these services for assistance. Is There a Better Deal to Form My LLC? Northwest and Incfile don’t carry as much name value or brand power as competitors like LegalZoom. However, In addition to offering a large number of affordable features, we found Incfile to be the best overall service. And we found that Northwest offers the best customer support. Northwest Registered Agent and Incfile are both good choices if you want affordable features and fast, valuable services. While both reliable services, we recommend choosing Incfile because it offers more features for customers. We further analyzed what you should keep in mind before making your choice. We’ve separated these points into four topics which are outlined below. Northwest’s customer service is the best among the LLC formation services we’ve reviewed. 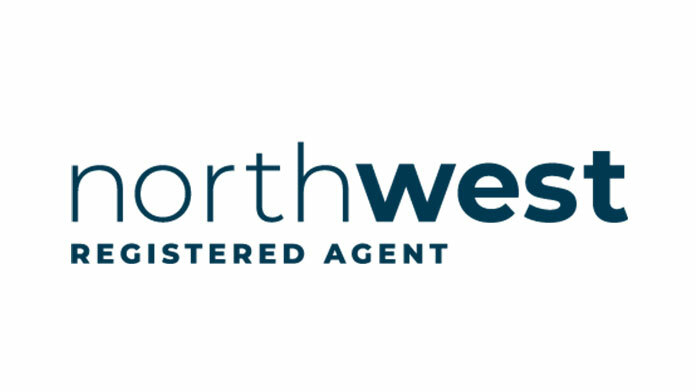 The customer support reps we talked to from Northwest are knowledgeable, consistent, and answered the phone every time we called. You can even choose to work with a rep you’ve worked with before if you had a good experience. This easily makes up for the just $6/year difference for their registered agent. Incfile has a great dashboard to check on the status of your order, and manage your information after forming your LLC. From here, you can view and download digital copies of your documents and check on upcoming filing deadlines. Incfile ships your paper copies and other ordered items together. This happens once the LLC formation processes through your state. Along with the features included with Northwest’s three packages, you can add additional features to meet your business needs. These features include an annual report filing service, an employee identification number (EIN), S Corporation tax election, mail forwarding, a business phone number, a certificate of good standing, a certified copy, a corporate book, and a corporate seal. Both services are quick to form your business. The order process for Incfile took no longer than 10-15 minutes. It helps to prepare by having all your necessary business information at the ready. Northwest’s site isn’t quite as easy to navigate as other competitors’, but the order forms and checkout pages are laid out in a way that provides great transparency to the user. While you will be subject to the filing timelines of the state you’re forming an LLC with, Northwest and Incfile are similar in how quickly your order will be processed on their end. All of Incfile packages comes with a next day business processing guarantee, while Northwest has guaranteed same-day processing for the $199 Premium package. Northwest is a bit cheaper with comparable service benefits. Both services offer the same essential business formation features at these tiers: LLC formation and 1 year of registered agent service at the basic tier, and an EIN filing and an operating agreement at the middle tier. After these features, Incfile bundles in some extra “nice to haves” and offers a la carte service offerings, such as website creation, for an additional fee. Some buyers might find value in these extras. Still can’t decide? 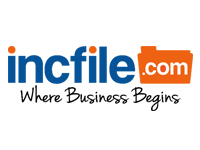 We recommend IncFile for the free premium services available in its entry-level packages. IncFile is a great option if you are working with a tight budget, but want a lot of added features. One year of free registered agent service and free LLC compliance reminders make Incfile an excellent value. Read on for a more in-depth, side-by-side breakdown of each company's basic, middle, and top tier service packages. Both Incfile and LegalZoom offer additional services beyond forming your LLC. Some features can be purchased independently, offering even more pricing flexibility. Below, you’ll find a side-by-side comparison of their basic packages and the features that actually matter. Please note that the service costs for each tier do not include the State filing fees.